Hi there! There’s a yellow warning sign on Boxifier icon in the tray, and when I place a cursor on it, it says “Boxifier needs your attention” - the problem is, I don’t understand how to figure out what it wants. There’s no any messages or errors or issues, no logs so I can figure out what’s the problem. So, how could I understand why Boxifier needs my attention and for what? I noticed today that the Boxifier icon in the Windows taskbar shows an Exclamation mark and a message: “Boxifier needs your attention”. Except that it doesn’t. Everything looks normal when I open the Boxifier app. 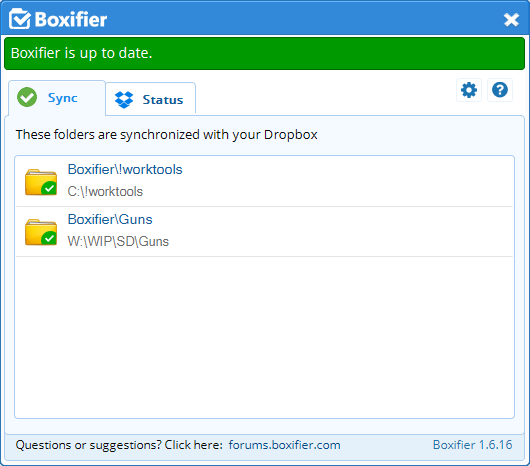 Could you please try manually downloading and installing the latest version from the Boxifier website and let me know if that fixes it?